I want to start a new series! I am trying my hardest to pay more attention to this little blog and I think sitting down for 5 minutes a week is the easiest thing to do! Please let me know what else you would like me to talk about in next weeks video! I am SO IN LOVE with this new blog design! The different colours scream my name but I went with a watercolour theme so it wasn't too much colour (although the more the better in my opinion!). 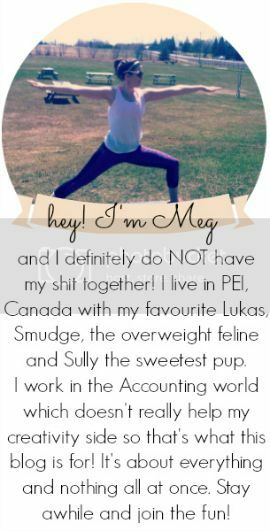 A special shout out to TheBlogShop for creating such affordable, easy to install, blog designs. I had such a hard time picking one but I am so happy with the one I've chosen. And the total was $18. C'mon, you cannot beat that! Her instructions were super simple to follow. If you've never uploaded your own blog design, this kind should definitely be your first! Seriously, there is no way you can mess it up. As you may or may not know I am trying my absolute best to get into clean eating. So far so good! My body thanks me so much for filling it full of deliciousness! I've been trying to narrow down a list of staples I like to always have on hand to share with you. We've all heard a million times over the benefits of coconut oil BUT did you know it is actually delicious!? 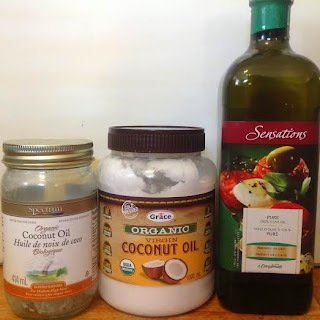 AND if you aren't a coconut fan, you can get oil that doesn't have any coconut taste. Weird I know. I've had a couple of my friends try it and they agree with me, no coconut taste at all! The one of the left doesn't taste like coconuts at all. I can't explain it but it's true! The middle one is delicious and coconutty, my favourite for sure. I do find that you can get a little sick of the coconut taste though so I like to buy the one on the left in times like that. I like to use olive oil when I need a higher heat or if I don't want the coconut taste to take over the meal. I am such a creature of habit. When I find something I love that's easy, I stick to it. So every single weekday morning around 10:30 am I get out a bowl of Greek yogurt and whatever fruit I'm loving at the moment. Currently grapes halved are my new favourite! 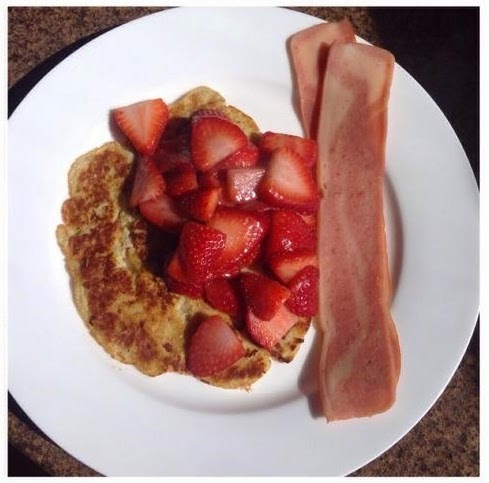 Strawberries, bananas, blueberries, anything makes it delicious! Plain Greek yogurt is filled with good stuff, especially protein. The stuff I eat (Liberte 0%) has 18g of protein per serving! If you're not a huge fan, put frozen berries in the night before, by the time you are ready to eat they have gotten all melty, juicy and delicious! Bananas are so versatile! They are one of the easiest snacks to have on hand. They come in their own packaging for goodness sakes! 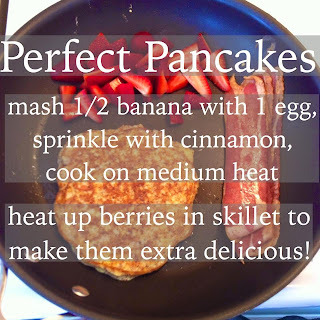 I love throwing them in my chocolate shakes but I especially love making pancakes! Yup pancakes made from 1/2 a banana and one egg. Can't get easier then that. Check out this post to see how to make them! I have been trying to use as many different seasonings as possible. Who knew there were so many tastes out there! I've been making my own seasoning to put on ground chicken or turkey. Perfect for taco night, pizza meat, or taco salad. This is the bomb.com. No joke this stuff is awesome! I made them both homemade, so simple. Just throw some peanuts/almonds in a food processor and blend until smooth! I added a teaspoon of coconut oil in the almond butter and I swear it's like snacking on cookie dough. Perfect way to ease your sweet tooth without feeling guilty about it! What are your must haves in your kitchen?? Looking for the perfect pancakes to kick off your weekend? I look forward to these bad boys every weekend! I could get up to have them during the week but I like my sleep. I'm working on that! If you're expecting a long post, you won't get it here, these are just too simple! All you need is half a banana and one egg. Seriously, that's it! 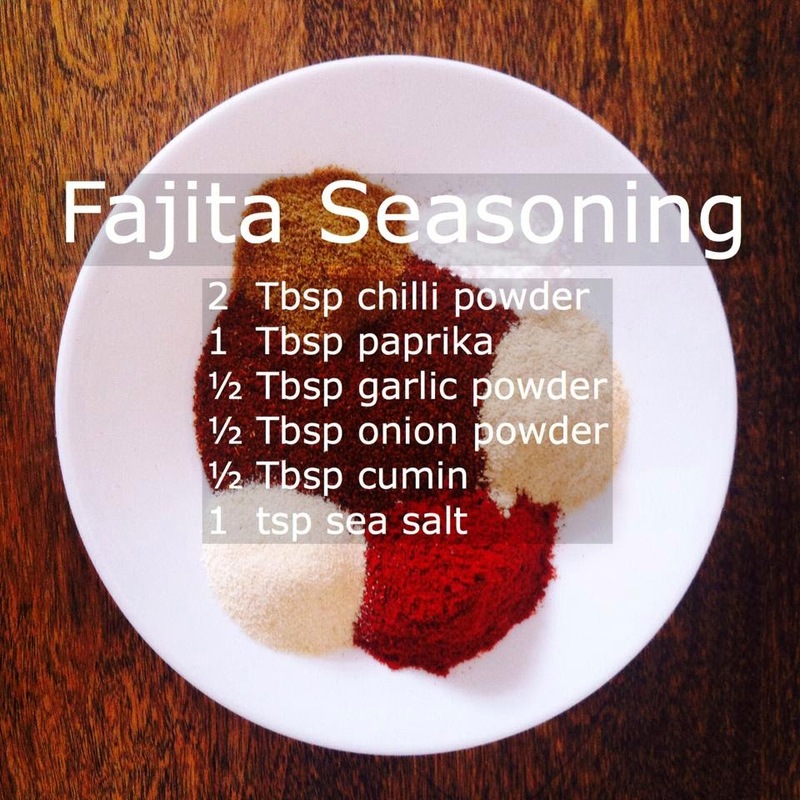 For added flavour, throw in some cinnamon, so good! These are my version of the Perfect Pancakes. 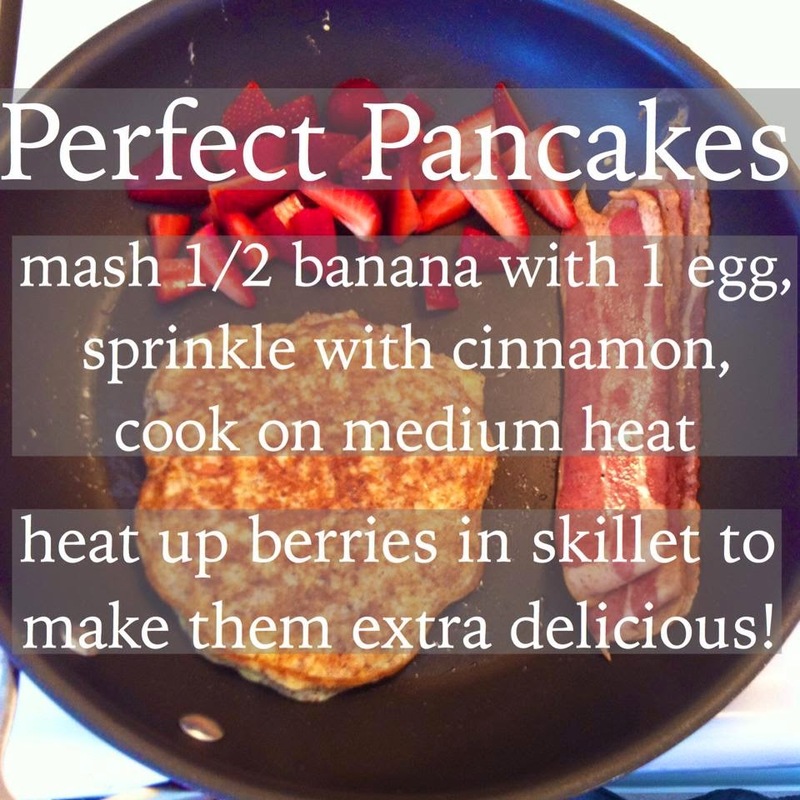 If you do plan on topping them with fruit, throw the berries on the skillet at the very end. It will not only warm them up, but it releases the juice and make them so much tastier! Have you ever made pancakes the non traditional way? If you make these please let me know how they turn out!